Only two weeks to go in this long pregnancy journey. One of the side effects I didn’t see coming was not really being into food very much…at least not new, interesting, untested food! Most of what poor Frank has been eating over the last nine months have been the same comfort foods over and over again…hence, not much new blog material. 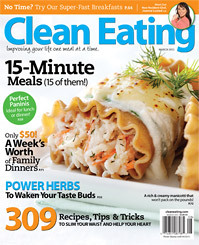 However, in celebration of reaching 37 weeks, I branched out last night and tried a new recipe that sounded good (for once) that I found in March’s Clean Eating magazine. If you haven’t heard of this magazine, check it out. A lot of the recipes are vegetarian, which doesn’t fly for Frank, but every now and then I find something we both really like. 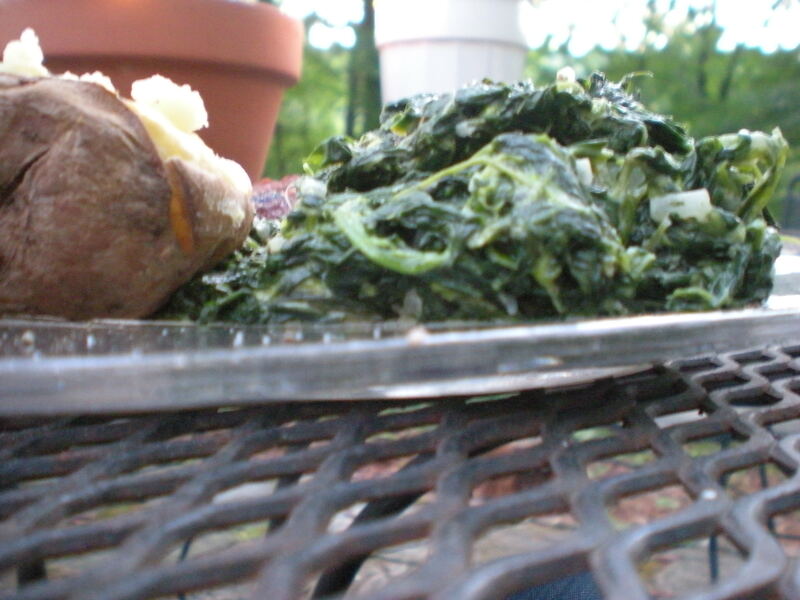 This recipe was definitely one of them and when the veggies are fresh this summer, I bet it’s even better. Definitely a do-over and super-easy. Was ready in under 30 minutes (the magazine claims it only take 15 minutes, but I had to chop everything first). 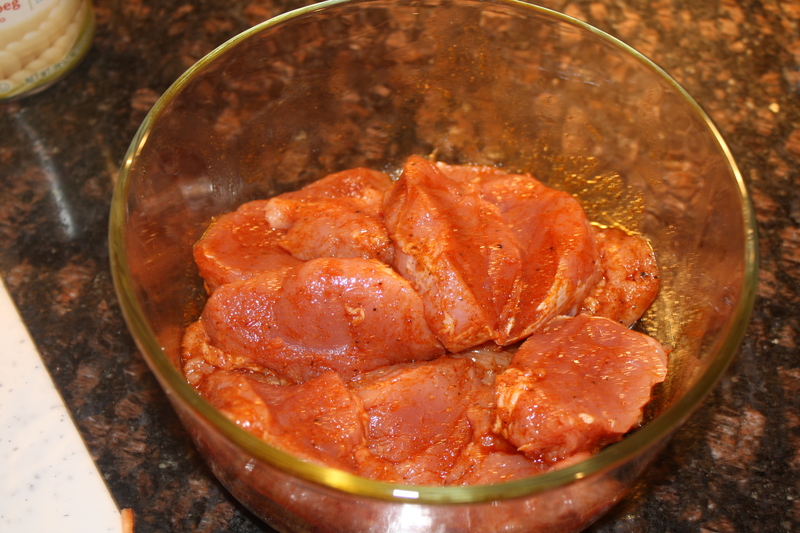 In a mixing bowl, use a whisk to blend together the rub for the pork tender (olive oil, paprika, cumin, S&P) and then toss the meat with the rub, coating well. Seat bowl aside. 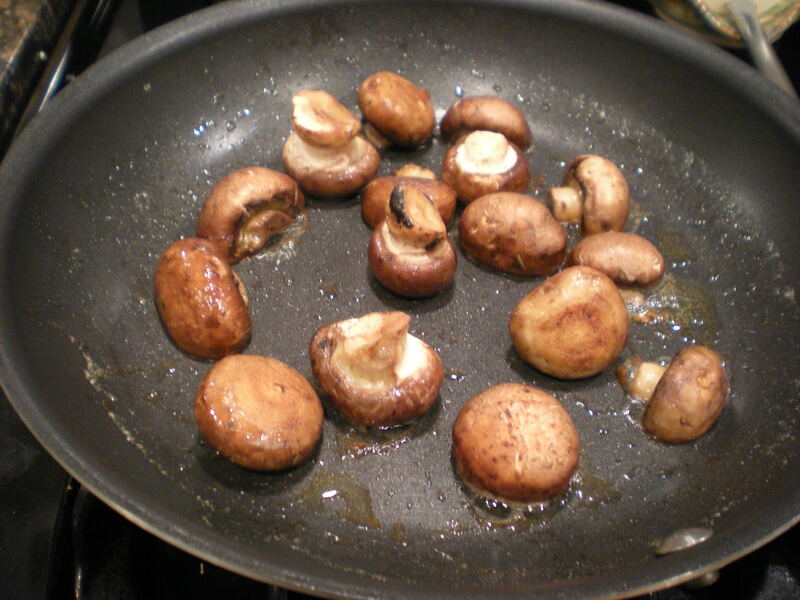 In a large skillet, heat 1 tsp olive oil to medium heat. Saute the red pepper and onion for 3 minutes or until onion is translucent. 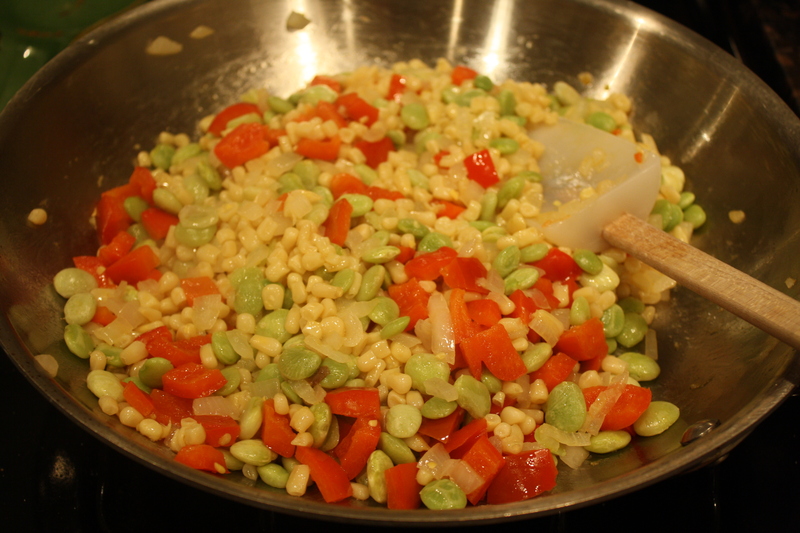 Add corn and lima beans, sauteing another 3 minutes or until heated through. 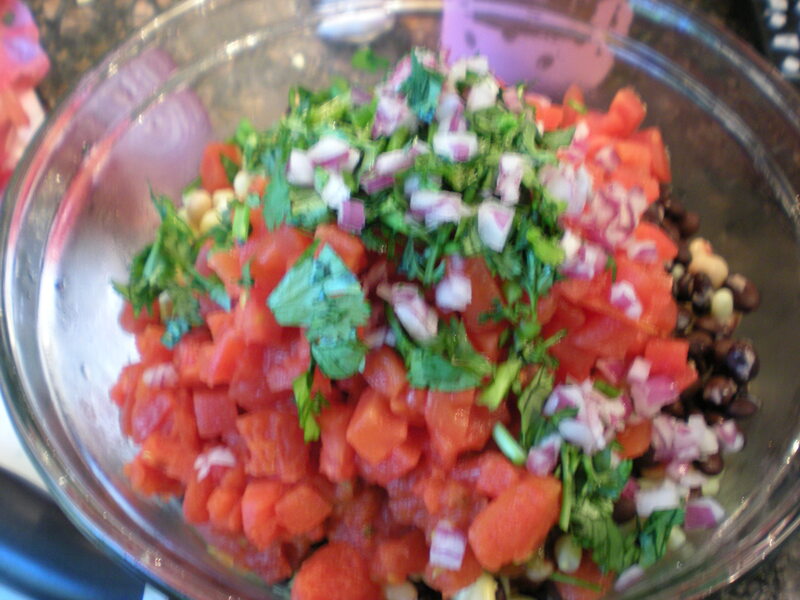 Pour mixture into another mixing bowl, toss with healthy dash of S&P to taste and cilantro (optional) and set aside, keeping warm. Wipe out pan and heat last tsp of olive oil to medium heat. 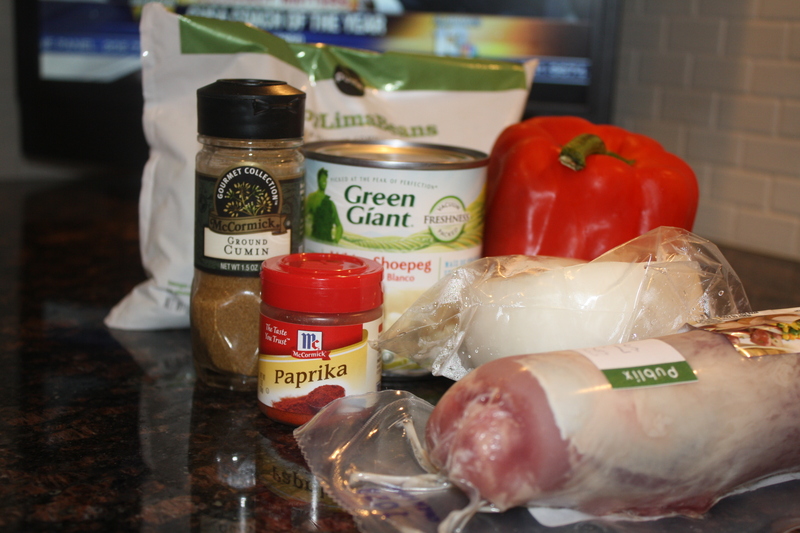 Add pork medallions and cook about 3 minutes on both sides or until done. 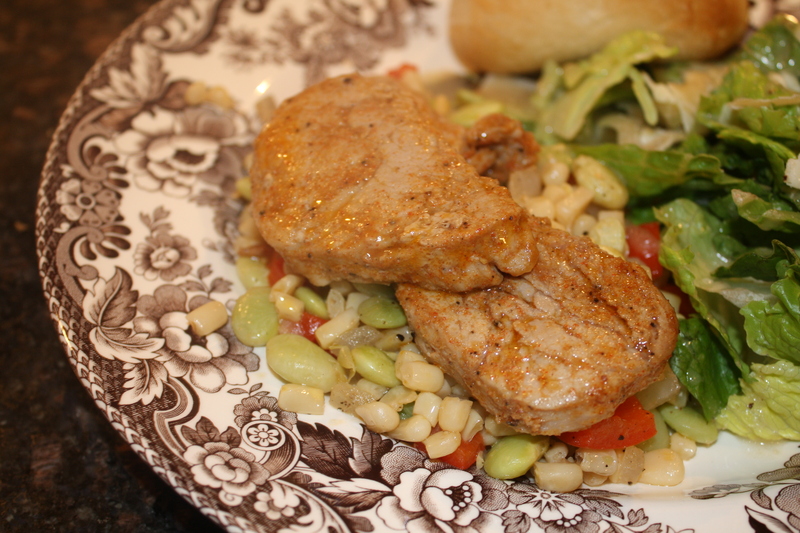 To serve, spoon succotash onto plate and then place 2-3 pork medallions on top. 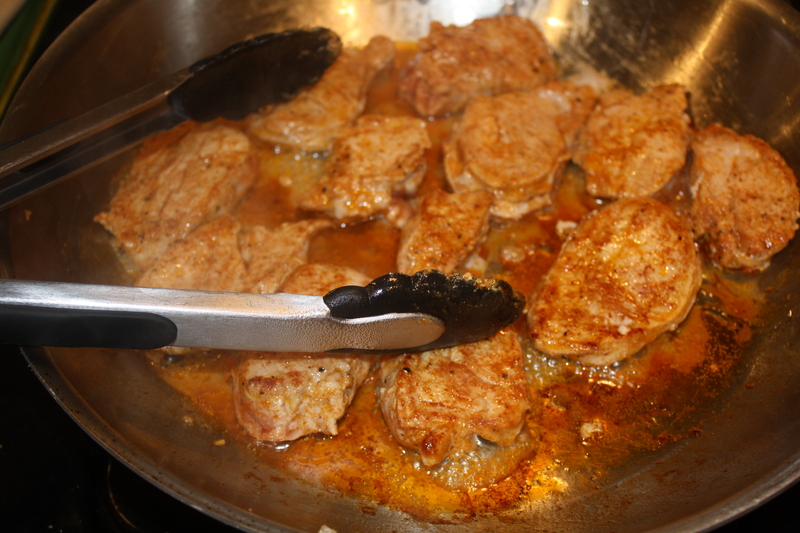 Can also spoon a little of the pan juices over the pork if desired. Serve with a side salad and crunchy roll. Will be PERFECT for summer! It’s been a slow few weeks for the blog. We’ve been on vacation and in all honesty, making a lot of the same dinners that are already on here. Life has been hectic, to say the least, but that is no excuse to not cook, especially this time of year. I love this time of year, with the all the beautiful Alabama produce. We’ve been enjoying fresh corn, okra and tomatoes and here, zucchini. 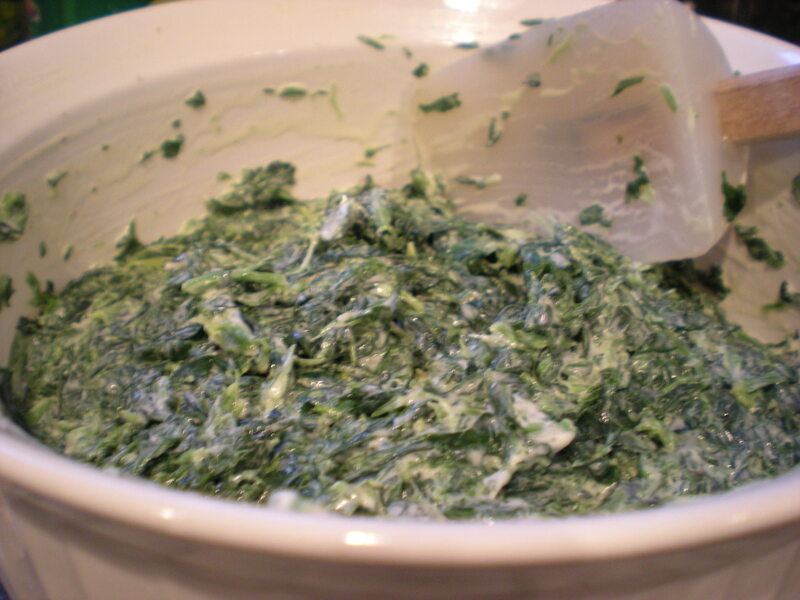 These are super-simple and make a great, healthy, cheap and fast side-dish. Can’t beat that! Preheat grill to 350. Wash zucchini and trim both ends off. 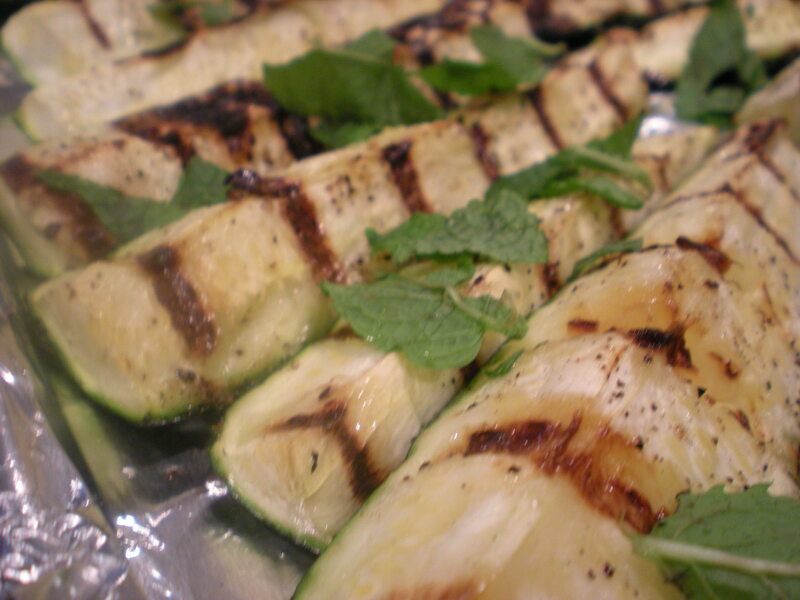 Slice zucchini lengthwise into spears. Place on cookie sheet and drizzle olive oil over the veggies, coating well. 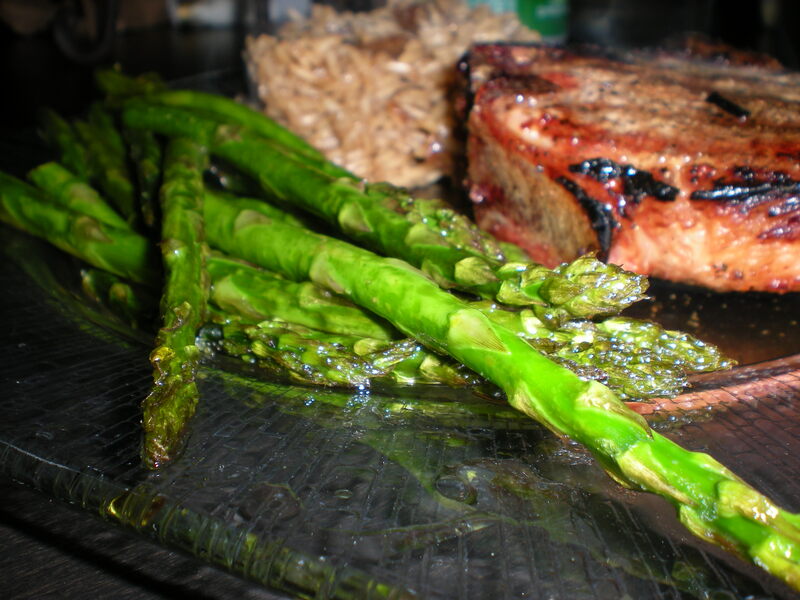 Shake a healthy amount of salt and pepper onto the veggies and grill for 10 minutes or so, until tender. Garnish with fresh mint leaves. 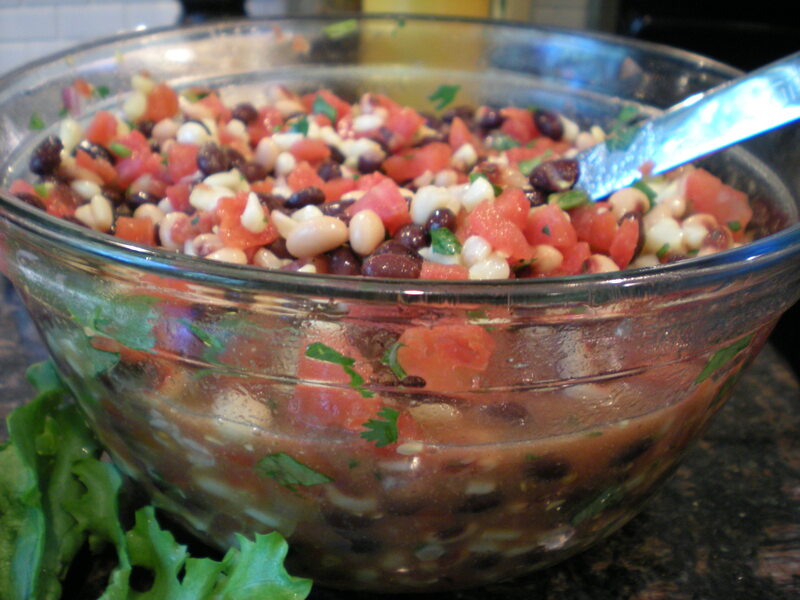 Serve with pan-fried chicken (find that recipe here) and a fresh salad or slaw. Admittedly, this is not the time of year to be making this dish. There is actually snow on the ground in Birmingham and I’m posting about fresh veggies. But this was great, just making do with what Publix had to offer right now, so I can only imagine how fresh and flavorful it will be this summer with produce straight from our farmers’ market. 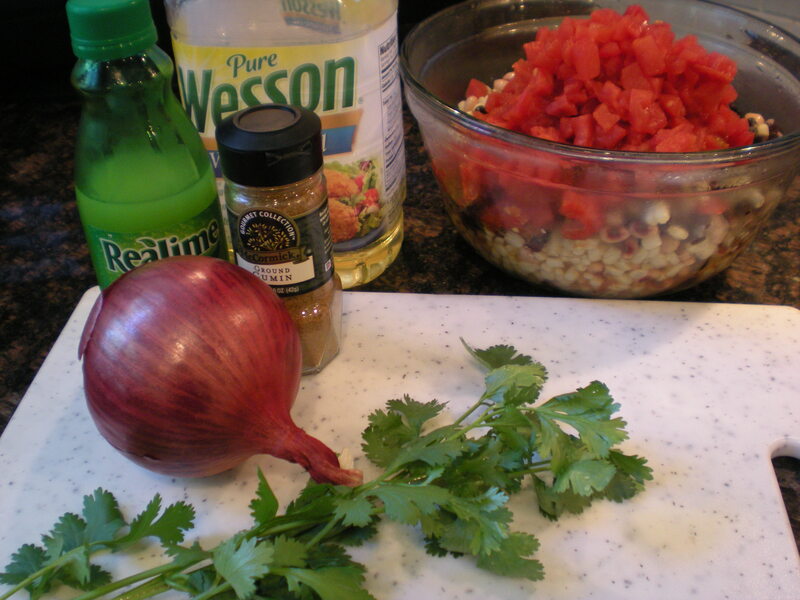 This takes no time and is a healthy, colorful side dish for grilled chicken or burgers. In a large bowl, soak the okra in the cold water and lemon juice for 30 minutes. BEGINNERS TIP: Soaking the okra in water and lemon juice helps cut down on the slime associated with okra that some people don’t like. In a large heavy skillet, heat the bacon fat or oil and saute the onion and garlic about 5 minutes or until tender. Add okra, cooking another 5 minutes. 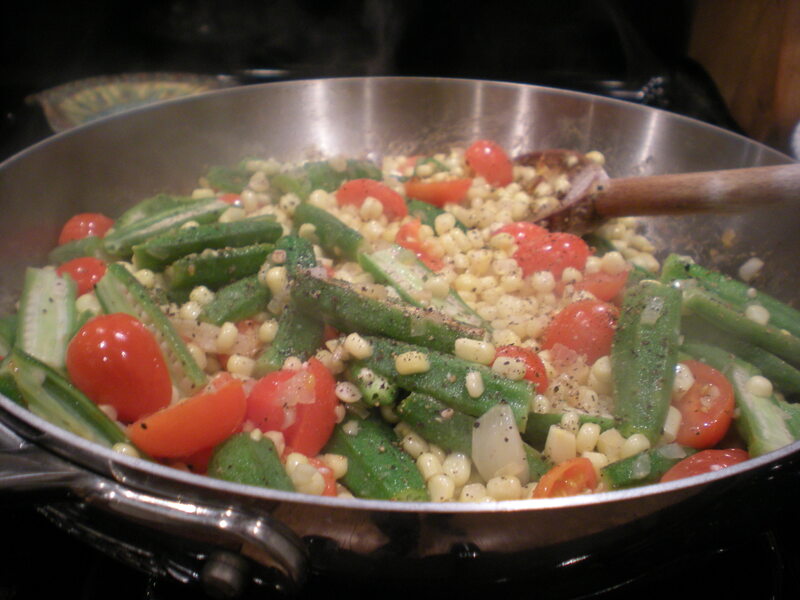 Using a wooden spoon, stir in corn and tomatoes, seasoning with S&P to taste and cook for another 10-15 minutes. Add a little water if the veggies start to stick. Cover and reduce heat to low, letting simmer for another 5 minutes.